1 – Do I need a license to do pest control and/or weed control in Mississippi ? 2 – I have a Certified Commercial Applicator Card. I had to pass tests to become a certified applicator. Isn’t this a license? 3 – I want to get a license to be able to do pest control work in Mississippi. What do I need to do? 4 – I want to get a license to be able to do weed control work in Mississippi. What do I need to do? 5 – I don’t have the experience and education required to become licensed in Mississippi . Is there a training course that I can take to become licensed to do pest control work in Mississippi? 6 – I attended college and have all of the courses required to apply for the licensing exam(s) in pest control, except I have never taken and passed a course in entomology (the study of insects). Is there a substitute course for this requirement? 7 – I attended college and have all of the courses required to apply for the licensing exam(s) in weed control, except I have never taken and passed a course in weed science or turf management. Is there a substitute course for this requirement? 8 – I currently work for a company that is licensed to do pest control and/or weed control work in Mississippi. My employer wants me to supervise a branch office that they intend to open in the near future, but I don’t have a license and I don’t have the education and experience to qualify for the license. What can I do? 9 – Is a permit the same as a license? 10 – I own and operate a lawn maintenance/mowing company and work in Mississippi. As part of my service, I control weeds using general use herbicides. Do I need a weed control license even though I don’t charge a fee for the weed control work? 11 – I meet the qualifications to become licensed. What do I do next? 12 – What types of questions are included on licensing and permit exams? 13 – Is there a required fee to apply for the licensing or permit exam or for the testing? 14 – What is the passing grade for license and permit exams? 15 – What happens if I fail the licensing exam(s)? 16 – What happens if I fail the permit exam(s)? 17 – I own and operate a pest and/or weed control business in another state. We are the largest independent company in the state and have been in business for 30 years. I have been licensed for 30 years. I haven’t taken an exam in years and don’t think I should have too. Can you reciprocate with the state where I hold a license and grant me a Mississippi license? 18 – I am commercially certified in another state. Does Mississippi reciprocate with other states for commercial certification? 19 – After passing the general standards certification exam and the license exam(s), how do I get a license? 20 – What do I do if the address of my company has changed? 21 – I want to start a mosquito misting control business in Mississippi. Do I need a license? 22 – My license and/or commercial certification is expired or about to expire? What do I need to do? 23 – I am a homeowner and I have a complaint against the pest control company that treated my house. Who do I contact for help? 24 – When I renew my bond and/or insurance, am I required to submit the renewal information to the Bureau of Plant Industry? 25 – I work for a company licensed in Mississippi. Am I required to have a registered technician identification card? 26 – Am I required to have the registered technician identification card in my possession when doing insect, rodent, plant disease or weed control work? 27 – I am a technician without a license or permit and work for a company licensed to do insect, rodent, plant disease or weed control in Mississippi and their main office is located far away from where I routinely do business. Is this legal? 28 – I am a Registered Technician working for a pest and/or weed control company. Does Mississippi require me to be commercially certified? 1. Do I need a license to do pest control and/or weed control in Mississippi? Anyone who receives fees for pest control and/or weed control services in Mississippi must be licensed. 2. I have a Certified Commercial Applicator Card. I had to pass tests to become a certified applicator. Isn’t this a license? No. The Certified Commercial Applicator Card is not a license. This card allows you to purchase, apply, or supervise the application of restricted-use pesticides for any purpose or on any property. 3. I want to get a license to be able to do pest control work in Mississippi. What do I need to do?? The first step is to determine if you meet Mississippi’s qualifications for becoming licensed. Experience and education are the only two ways that would qualify you. You must be at least a high school graduate or equivalent and have, in addition at least four years experience with a licensed operator within the past six years. The verifiable experience must be in the area(s) of pest control that you wish to become licensed. If you wish to qualify based on education, you must have at least 15 semester hours or the equivalent in the category for which you are requesting a license. Courses must include up to 10 semester hours of entomology or combined entomology and advanced zoology. An additional 5 semester hours is required to be completed in at least 2 additional courses. These courses include ecology, microbiology, organic chemistry, plant pathology and other advanced level related courses..
4. I want to get a license to be able to do weed control work in Mississippi. What do I need to do? The first step is to determine if you meet Mississippi’s qualifications for becoming licensed. Experience and education are the only two ways that would qualify you. You must be at least a high school graduate or equivalent and have, in addition at least one year of experience with a licensed operator within the past two years. If you do not have a high school degree or its equivalency, you must provide proof that you have at least two years experience with a licensed operator within the past three years. The verifiable experience must be in the area(s) of weed control that you wish to become licensed. If you wish to qualify based on education, you must have at least 15 semester hours or the equivalent in the category for which you are requesting a license. Courses must include up to 3 semester hours of weed science or turf management and 7 hours in advanced weed science, turf management, botany or forestry management courses. An additional 5 semester hours is required to be completed in at least 2 additional courses. These courses include general soils, microbiology, organic chemistry and other advanced level related courses. 5. I don’t have the experience and education required to become licensed in Mississippi . Is there a training course that I can take to become licensed to do pest control work in Mississippi? No. You must meet the experience or educational qualifications. 6. I attended college and have all of the courses required to apply for the licensing exam(s) in pest control, except I have never taken and passed a course in entomology (the study of insects). Is there a substitute course for this requirement? Yes. BPI accepts continuing education courses in pest management, offered by Purdue University, West Lafayette, IN. These courses are excellent preparation for the licensing exam(s) in Mississippi. Passing a proctored final examination is required to complete any of the Purdue University courses. Prior to registering to take the Purdue University course(s), please submit your application to ensure that you meet all other educational qualifications except for the entomology requirement. 7. I attended college and have all of the courses required to apply for the licensing exam(s) in weed control, except I have never taken and passed a course in weed science or turf management. Is there a substitute course for this requirement? Yes. BPI accepts continuing education courses in pest management, offered by Purdue University, West Lafayette, IN. These courses are excellent preparation for the licensing exam(s) in Mississippi. Passing a proctored final examination is required to complete any of the Purdue University courses. Prior to registering to take the Purdue University course(s), please submit your application to ensure that you meet all other educational qualifications except for the weed science or turf management requirement. 8. I currently work for a company that is licensed to do pest control and/or weed control in Mississippi . My employer wants me to supervise a branch office that they intend to open in the near future, but I don’t have a license and I don’t have the education and experience to qualify for the license. What can I do? Mississippi requires that each branch office have a license holder or permit holder directly supervising the daily activities of the office. If you don’t meet the qualifications to become licensed, you may apply to take permit exam(s) for the area(s) of work that will be performed from the branch location. To qualify for any permit examination; you must be a bonafied employee of the license holder and have a valid Mississippi registered technician identification card. 9. Is a permit the same as a license? No. You are not allowed to own and operate a company with a permit. 10. I own and operate a lawn maintenance/mowing company and work in Mississippi. As part of my service, I control weeds using general use herbicides. Do I need a weed control license even though I don’t charge a fee for the weed control work? Yes. If you are applying herbicides to control weeds on property that is not owned by you, you must be licensed. Even though you state you are “not charging” for the weed control work, your business is benefiting from the use of the herbicide. This benefit results in time saved to your business which translates to some economic benefit to your business. 11. I meet the qualifications to become licensed. What do I do next? If you wish to become licensed in Mississippi, you must submit an application form to the Bureau of Plant Industry, P.O. Box 5207, Mississippi State, MS 39762. The form can be obtained from the Mississippi Department of Agriculture and Commerce website. Click the form License and/or Permit Examination Application. Print the form. Follow all instructions and submit to the Bureau of Plant Industry. Your application will be reviewed and you will be notified by letter if your application has been approved or denied. If you are approved, you will receive information on the location and time for the exams. A reference sheet will be included listing reference material that may be helpful in your preparation for the exam(s). The Bureau of Plant Industry does not provide copies of the reference material. Please note that exams are given the second Tuesday of January, April, July and October at Mississippi State University’s Main Campus in Starkville. The testing location will be stated in your approval letter. The starting time for exam(s) is 9:00 a.m. You will have until 4:00 p.m to complete all exam(s). If you are not commercially certified in another state, you will also have to pass the General Standards Certification exam as well as the license and/or permit exam(s) before being qualified to request the license and/or permit. Licensing and permit exams may only be taken at Mississippi State University. .
12. What types of questions are included on licensing and permit exams? All exams are multiple choice and true-false. Some exams have photo ID and/or questions that require calculations to be performed. Calculators are allowed to be used during the testing. Laptop computers, cell phones and other reference materials are not allowed to be used during testing. Test length varies, with the maximum number of questions of any exam being 200. Answers are recorded on a scantron type answer sheet. 13. Is there a required fee to apply for the licensing or permit exam or for the testing? There is no fee to apply or for the testing. 14. What is the passing grade for license and permit exams? You must score a 70 percent on an exam to pass. 15. What happens if I fail the licensing exam(s)? You have two consecutive attempts to pass any licensing exam(s). If you don’t pass on the first attempt, you may take the exam during the next testing quarter or any subsequent quarter. If you fail on the second attempt, you may reapply to take the exam(s) again, but you must wait a full calendar year from the date you failed on the second attempt. This process repeats until you pass the exam(s). 16. What happens if I fail the permit exam(s)? You may take permit exam(s) each testing quarter until passed. 17. I own and operate a pest and/or weed control business in another state. We are the largest independent company in the state and have been in business for 30 years. I have been licensed for 30 years. I haven’t taken an exam in years and don’t think I should have too. Can you reciprocate with the state where I hold a license and grant me a Mississippi license? No. Mississippi does not reciprocate with any state. You must apply, be approved, and pass the license exam(s). 18. I am commercially certified in another state. Does Mississippi reciprocate with other states for commercial certification? Yes. 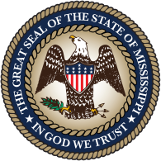 Mississippi reciprocates with other states with commercial certification. You need to complete a Reciprocity Form and attach a copy of the front and back of your commercial certification card from the other state. 19. After passing the general standards certification exam and the license exam(s), how do I get a license? This depends on whether you want to become licensed for your current employer, or whether you want to start a new company. If you already are employed by a company and want to become a license holder for that company and have notification that you have passed the exam(s) required for licensing, you will receive by mail all information needed to request your license. You will need to submit to the Bureau of Plant Industry the form requesting the license and a Registered Technician Identification Card request form. The company where you are employed is required to maintain bond and/or insurance. Your license will be issued in your name with the company where you are employed on the license. The license number will be the same number as all license holders for the company where you are employed. The license will be valid for three years and the expiration date of the license will be noted on the license. If you want to establish a new company and have received notification that you have passed the exam(s) required for licensing, you will receive by mail all information needed to request your license. If you are planning to operate your company from outside of Mississippi you must complete the power of attorney and submit to the Secretary of State of Mississippi. The instructions for completing the power of attorney form must be followed. You must submit a company name request form to the Bureau of Plant Industry and get approval for your company name. Once your name is approved, you must complete the license request form, the bond form and if required the insurance form. The insurance form must be completed by the insurance company. The Registered Technician Identification application must be submitted and the notarized statement that bond and insurance will be maintained for pest control licensees and/or bond will be maintained for weed control licensees is required. You must issue contracts for termites and other structural work. There is no state approved contract. It is the sole responsibility of the licensee to ensure that contracts meet the requirements of Section 112.04 of the Regulations Governing Pest Control Operators. Your license will be issued in your name with your company name. The license number will be assigned by the Bureau of Plant Industry. The license will be valid for three years and the expiration date of the license will be noted on the license. 20. What do I do if the address of my company has changed? If the mailing or physical address of your company has changed the Bureau of Plant Industry must be notified in writing within 10 working days. The Bureau of Plant Industry will only issue licenses, commercial certification cards and registered technician identification cards with physical addresses. We will mail to a mailing address such as a P.O. Box, but a physical address is required. If you change your P.O. Box or mailing address, the Bureau must be notified of the change. Physical address changes require that you complete the change of address request form, return all current original licenses, return all Certified Commercial Pesticide Applicator Certificates, return all Registered Technician Identification Cards for all employees, submit application for a new Registered Technician Identification Cards for all employees, submit bond and/or insurance riders reflecting the new address. Once the Bureau receives these documents, the license and all certification cards and ID cards will be issued with the new address. There is no fee for this service. 21. I want to start a mosquito misting control business in Mississippi. Do I need a license? The answer depends on what you intend to do. If you want to sell the mosquito misting equipment to the homeowner or business, you do not have to be licensed. If you plan to service the equipment and advertise that you are operating a mosquito misting control business, a license is required. The GRC, General Pest and Rodent Control License, is not required; however, it can be used. Anyone who currently has the GRC category on their license or permit can service the equipment and advertise since mosquito control is covered under the GRC category. The MBF, Mosquito and Biting Fly Control License is required. The MBF license can only be used for mosquito and biting fly control. Qualifications for this license are explained on this site. 22. My license and/or commercial certification is expired or about to expire? What do I need to do? If you have attended a recertification meeting approved by the Bureau of Plant Industry within the past 12 months prior to the expiration date printed on your license and/or commercial certification card, you need to provide proof in writing to the Bureau of Plant Industry of this attendance. If you have not attended a recertification meeting approved by the Bureau of Plant Industry within the past 12 months prior to the expiration date printed on your license and/or certification card, you need to contact Mr. Gene Merkl, Mississippi State University, 103 Clay Lyle Building, Mississippi State, MS 39762. Mr. Merkl’s phone number is 662.325.5829. His email address is gm53@msstate.edu. He will provide you with a list of approved meetings where you can be recertified. Please note that it is your responsibility to keep your license and/or commercial certification current. Waiting too long past the date of expiration to attend a recertification meeting will require license and/or commercial certification retesting. 23. I am a homeowner and I have a complaint against the pest control company that treated my house. Who do I contact for help? The Bureau of Plant Industry is the state agency responsible for regulating the pest control industry. We are here to help with complaints against pest control companies. Please contact the Bureau of Plant Industry at 662-325-8789 for assistance. 24. When I renew my bond and/or insurance, am I required to submit the renewal information to the Bureau of Plant Industry? There are two answers to this question dependent on your circumstances. No, if you are using the same bond and/or insurance company as when you became licensed. When you received your license, you were required to submit the bond and insurance form and a notarized form to the Bureau of Plant Industry guaranteeing that you would maintain the bond and/or insurance, as required by Regulations. You must maintain the renewal information in your files. Bureau inspectors may inspect your records at your place of business and if it is determined that you have not maintained bond and/or insurance, your license(s) can be automatically cancelled. Yes, if you purchase bond and/or insurance from a company different from the company submitted to the Bureau of Plant Industry at the time your were licensed. If you change companies, note this in your correspondence. You must maintain the renewal information in your files. Please inform your insurance and/or bonding company to not send renewal information to the Bureau of Plant Industry. The Bureau of Plant Industry only needs the insurance and/or bond information at the time of license issue or if you purchase this coverage from a different company. Insurance companies must notify the Bureau of Plant Industry if bond and/or insurance coverage is terminated. 25. I work for a company licensed in Mississippi. Am I required to have a registered technician identification card? Yes, if you are working alone. All license holders, permit holders, owners or employees of a pest or weed control business soliciting work or who are involved in pesticide application or conduct service inspections must qualify for a registered technician identification card. If you are in the physical presence of a license or permit holder or a registered technician who has held a registered technician identification card for twelve continuous months you may work without the registered technician identification card. 26. Am I required to have the registered technician identification card in my possession when doing insect, rodent, plant disease or weed control work? 27. I am a technician without a license or permit and work for a company licensed to do pest and/or weed control in Mississippi and their main office is located far away from where I routinely do business. Is this legal? Mississippi does not require that companies licensed to do pest and/or weed control in the state have a physical office in the state. There is no regulation preventing these companies from operating in Mississippi. However, technicians or other employees employed to work for these companies must be directly supervised by a licensee or permit holder. If the licensee or permit holder is located too far away to be in routine physical contact with these technicians and employees, the Regulations are being violated. In these situations, the main office of the company must operate a branch office with at least a permit holder being responsible for supervising the activities on a daily basis. The branch office is defined as any place of business other than the primary place of business, that is managed by a license holder or permit holder in which any type of pest control services are offered. 28. I am a Registered Technician working for a pest and/or weed control company. Does Mississippi require me to be commercially certified? Some companies require technicians to be commercially certified as a condition of employment. This is not required by Mississippi.